Christopher Hines is currently pursuing his MFA in Creative Writing by night and programming by day. 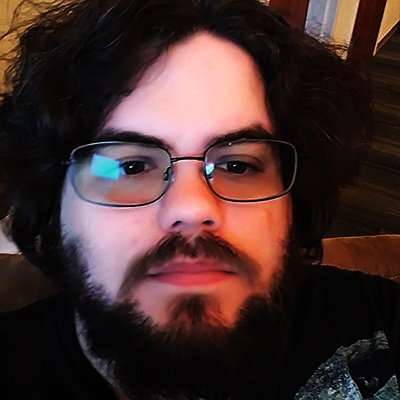 As an author, he is interested in the genres of Science Fiction and Fantasy, and is currently delving into Digital Humanities as a programmer. Introduced to computers at a young age, Christopher grew up almost parallel with the development of the modern internet and was born the same year as the WorldWideWeb. Christopher has experienced traditional hand-coded HTML website development as well as modernized content management systems, of which he prefers the latter.